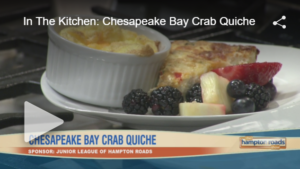 Click the video preview to watch Chef Samantha Brown prepare our Chesapeake Bay Crab Quiche and Cheesy Ham and Grits Souffle! 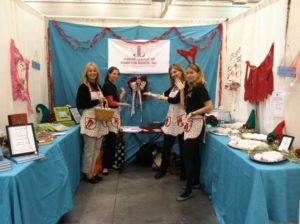 Thank you to the Hampton Roads Show for allowing us to showcase our recipes and spread our message! 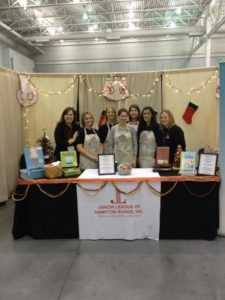 The Junior League of Hampton Roads is proud to offer a selection of cookbooks written and published by our membership! All proceeds from our cookbooks go directly back into helping the community that we serve. In addition to being a great addition to any cook’s collection, these books make fabulous gifts for holidays, bridal showers, birthdays, and hostesses! Interested in selling our publications in your business? Please contact us at (757)-873-0281 to learn about wholesale pricing.